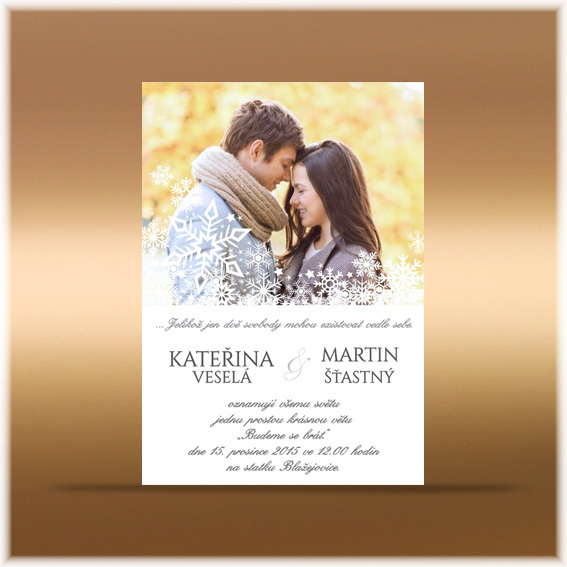 Do you plan to have your wedding in the winter time? This wedding invitation is an excellent choice. It is printed on a white glassine paper. You can place your photo that beatifully derorates winter snowflakes.